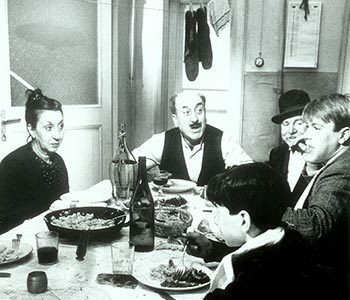 In this video, author Roddy Doyle describes the experience of seeing Fellini’s Amarcord for the first time as a boy in Dublin. Growing up in Ireland, at that time a strict Catholic country, it was revelatory for him to see the religion ridiculed in the subversive comedy-drama. The combination of the beautiful and the grotesque mesmerized the young Doyle, who found the film “a great antidote” to the strict environment of his own religious high school. Looking back, Doyle reflects that Amarcord was there, in the back of his head, “nudging” him in his own creative work as a writer. Though he can never “really pin it down,” seeing the film remains “the greatest cultural moment” of his life.